TOTALTERRY | Utterly awesome – the entire universe defined and dissected on one website. Utterly awesome – the entire universe defined and dissected on one website. I'll let you ban hate speech when you let me define it. Deal? 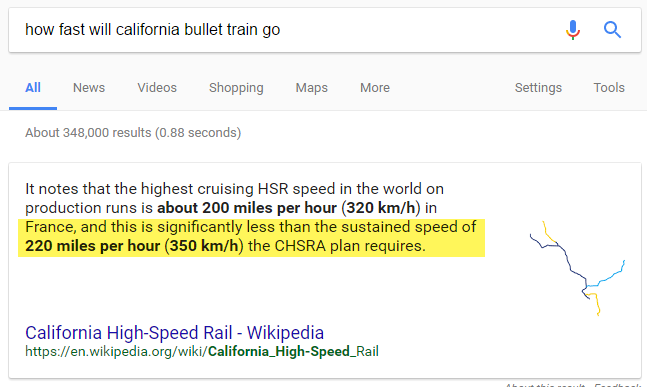 California High Speed Rail – WTF? Anyway, I was thinking back to a conversation I had with someone that supported the California High Speed Rail project. I’ve been more than a little skeptical about this boondoggle, but my friend was convinced it would be a good thing because, according to her, flying to LA took so long and was so expensive. She claimed tickets run $400 and after getting thru security and baggage and car rental the trip takes about 4-5 hours. So when I got home I googled a few items and now see the flaw in her logic. According to Wikipedia, the fastest production high speed rail is 200 MPH. California requires 220 MPH, and even if they get that, a straight shot uninterrupted trip will take a minimum of 2 hours for the 400 mile distance. Security, baggage and car rental are a wash because it takes the same regardless. 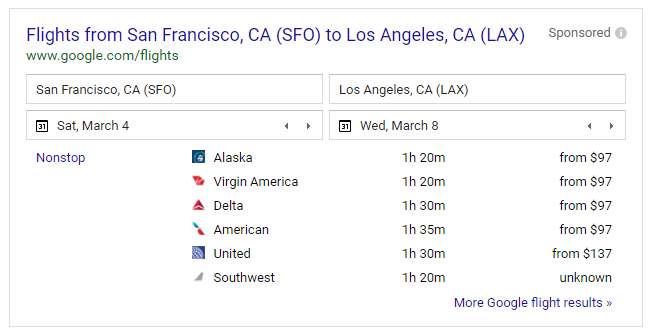 Anyway, my next Google query looked at cost and duration of flight times from SF to LA. Google Flights appeared with an average of 1.5 hours flight time and $100 cost for a one-way ticket. So the fastest PRODUCTION train in the world is slower than what California needs. And somehow the golden state is going to develop and run this new record breaking speed while competing with the airlines at less than $100 per ticket. Yeah, so the next this comes up with my friend I’ll try to be nice to her and gently break the news. California high speed rail is a dream for public employee unions and developers, but a boondoggle for the paying public. “…the Democrats on this committee were silent.” With loving hope that Ted becomes a Supreme Court justice. Excellent article from Walter Russell Mead pointing out several assumptions that have proven to be questionable at best, outright disasters at worst. 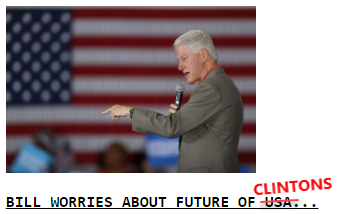 David Burge This guy tweets the truth like a guided missile – always on target with devastating results.